Fall River Mayor Jasiel Correia. Ten voters in Fall River who cast ballots to oust Mayor Jasiel F. Correia II from office asked a judge Wednesday to block the city from certifying the results of last week’s special election while they fight the vote tally in court. The ballot in the election, organized after Correia, a 27-year-old Democrat, was charged last year with fraud and tax evasion in federal court, asked voters to decide two questions: whether to recall Correia and whom to elect as mayor. Sixty-one percent of voters recalled Correia, with 7,829 ballots cast to oust him. But he held onto power by winning a five-way race in which he was listed as a candidate for reelection for mayor, with 35 percent of the vote. The runner-up was School Committee member Paul Coogan, who finished 241 votes behind Correia. The voters’ lawsuit, filed Tuesday in Bristol Superior Court in New Bedford, alleges the ballot violated the city charter by listing Correia as a candidate for reelection for the office at the center of the recall vote. A hearing hadn’t been scheduled as of late Wednesday afternoon. The special election results haven’t been finalized, but the tally is expected to be ready for certification on Friday, the Election Commission said. The plaintiffs in the civil suit include two residents who served on the city’s Charter Commission. Fall River voters approved the charter in November 2017. In court papers, the voters delve into city charter history and how it shaped a previous recall election. In 2014, then-mayor William Flanagan ran for reelection on the same ballot which sought to recall him. Voters recalled Flanagan by 10,721 to 4,728 votes. The second part of the ballot featured an eight-way race for mayor. Then-Bristol district attorney Sam Sutter defeated Flanagan, who came in second. 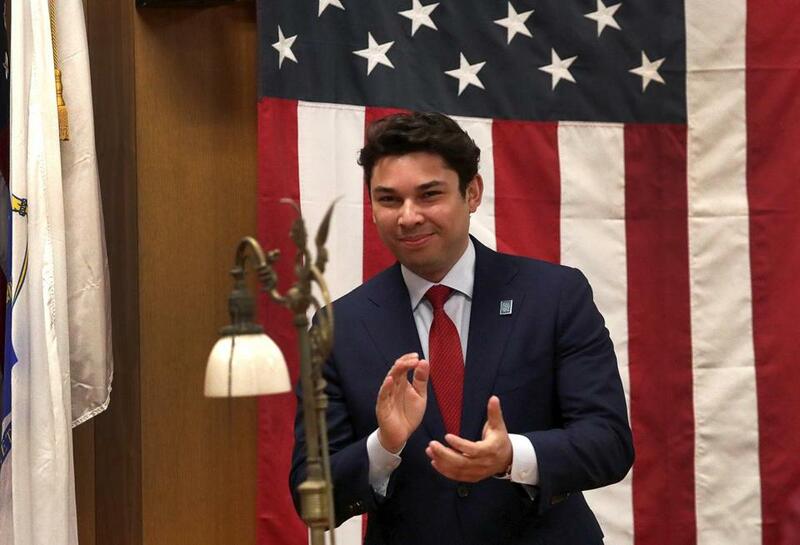 The following year, Correia ran against Sutter and won, becoming Fall River’s youngest mayor, at age 23. The voters’ suit alleges the 2017 charter did away with the provision that allowed Flanagan to run for reelection even while facing recall. The lawsuit names Correia and several other city officials as defendants. The city’s lawyer, Joseph Macy, said he had not been notified of a hearing in the case. Correia, who delivered his annual State of the City address Tuesday night, didn’t respond to a message. His term expires at the end of the year. The city holds a preliminary election in September and a general election in November. A hearing in Correia’s criminal case is scheduled for next month in federal court in Boston. He has pleaded not guilty. On Oct. 11, FBI agents arrested Correia on charges that he defrauded investors who supported his technology company, SnoOwl, and then attempted to conceal the scheme by filing false tax returns. The startup, which Correia established while he was an undergraduate at Providence College, developed an app to connect businesses and consumers. Prosecutors allege Correia spent over $231,000 that investors gave him for SnoOwl on expensive travel, casinos, adult entertainment, and a luxury car.